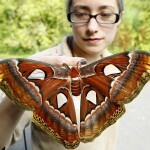 Known as Attacus or Atlas, it is the world’s largest moth, with total wing surface area of 400 cm2 (62 sq in). 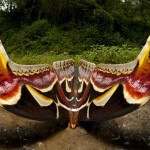 Their wingspans are also amongst the largest, reaching over 25 cm (10 in). 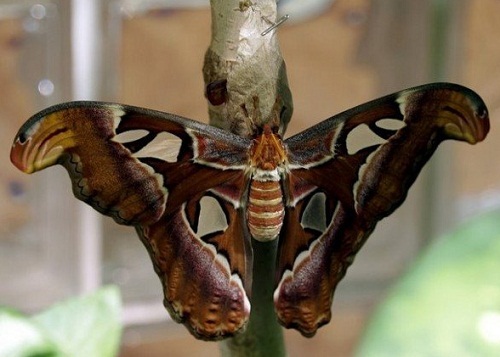 Noteworthy, females are appreciably larger and heavier than males and attract mates by secreting irresistible pheromones through the end of their abdomens. 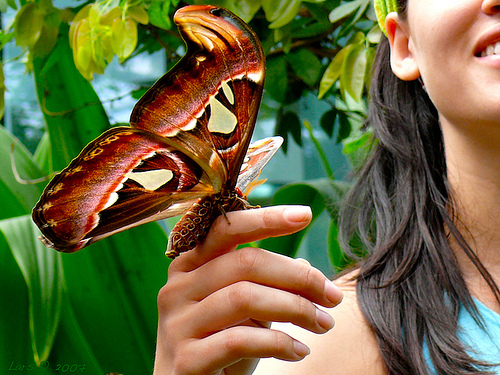 The males sniff these out with a long, feathery antennae. 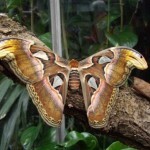 Found in the tropical and subtropical forests of Southeast Asia, it is common across the Malay archipelago. 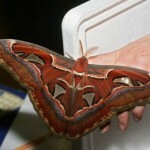 Their name Atlas moths origins either in Greek mythology, or their map-like wing patterns. 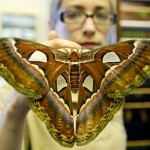 In India, Atlas moths are cultivated for their silk, secreted as broken strands. 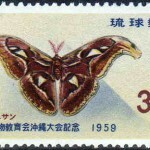 This brown, wool-like silk has greater durability and is known as fagara. 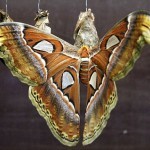 Atlas moth cocoons serve as purses in Taiwan. 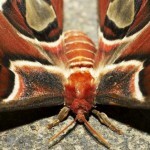 Wings are reddish-brown with a triangular transparent spot (membrane without scales). 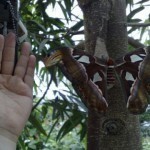 The wingspan is 8 in (20 cm), and the tips of the fore wings are curved. Stout, hairy body. 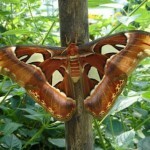 Males have feathery antennae; females are larger than males. Large, spherical, reddish eggs. 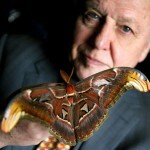 Larvae are bluish-green with shades of pink; they have bumps and are covered with a fine white powder. 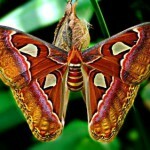 Pupate in cocoons made of broken strands of silk.